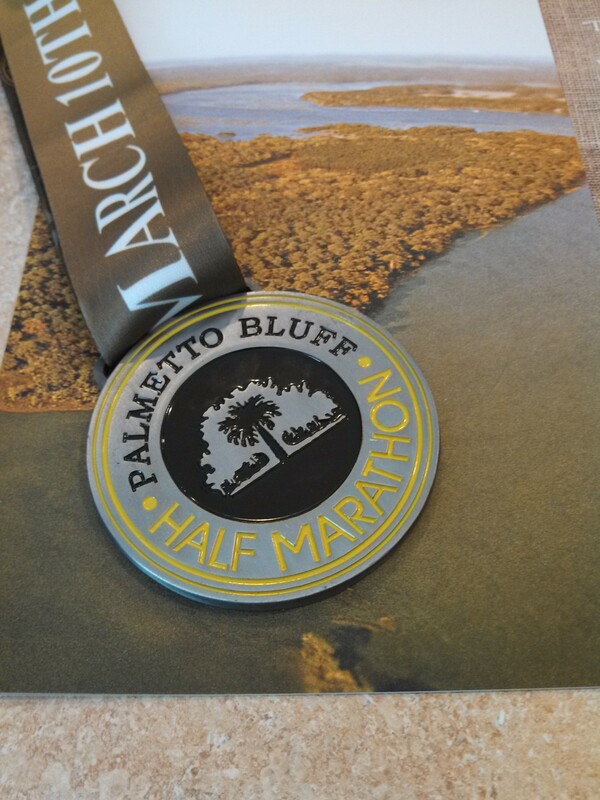 I accomplished March’s Goal of running the Palmetto Bluff Half Marathon! 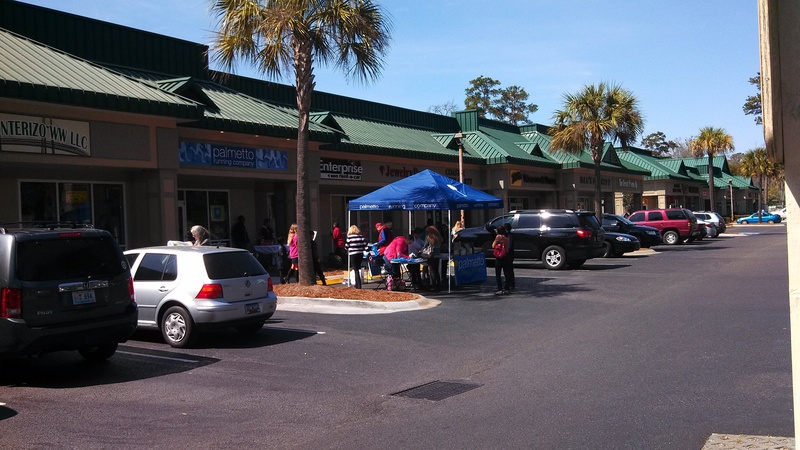 It was organized by Palmetto Running Company which is the only running company in my area. They do awesome group runs on Saturday mornings, and have great competitive prices. And owned and operated locally….so clearly they have my business. Packet Pick-Up was the day before, right in front of their store. They were organized and had great volunteers! The race was scheduled for a chilly Sunday morning, I think maybe mid-40’s. We never thought it would still be this cold…it’s March for crying out loud. The time change happened that morning, so we were all a little tired and I was cranky! The race happened 3 miles from my house, so I jumped at the chance to register. However, after looking more into it I realized it was capped at 500 people…..which to me means it is a more competitive half than I am used to. Great, this meant I was going to be dead last, oh Joy. I ran a 250 person 10k back in February of 2012, and I was second to last. Whatevs, I just came to terms that this was part of my running route, so if anything I was just running by myself as usual. 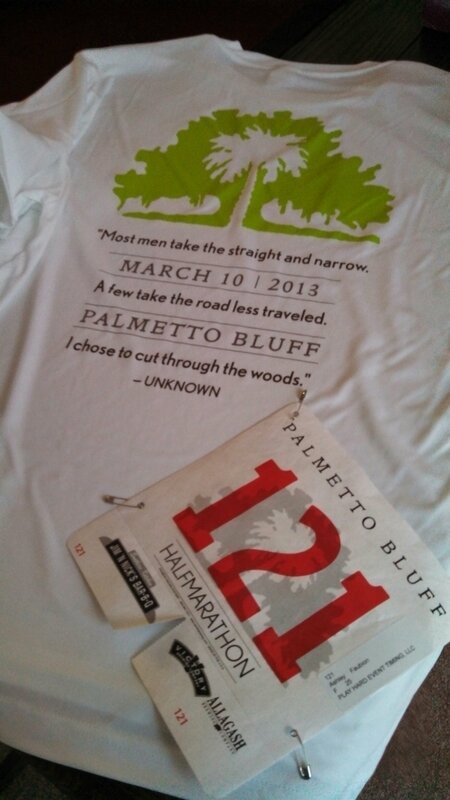 The course was throughout the beautiful Palmetto Bluff area. I would suggest this run to anyone who wants a fast, flat course with perfect weather and volunteers. The race began promptly at 8am, and within the first mile I claimed my spot near the back. I usually mentally struggle until mile 8, and then I give in. So I was prepared to do the same. However, I was able to really get in a grove, and do my normal run/walk until mile 1oish. Many people complimented my pace, I guess they weren’t used to the run/walk method? I really focused on my body. I didn’t use my watch, so I just ran until I need a walking break. And then as soon as I was fine I would run. My friend ran consistently until mile 9, when we caught up with each other. I wonder which is better? 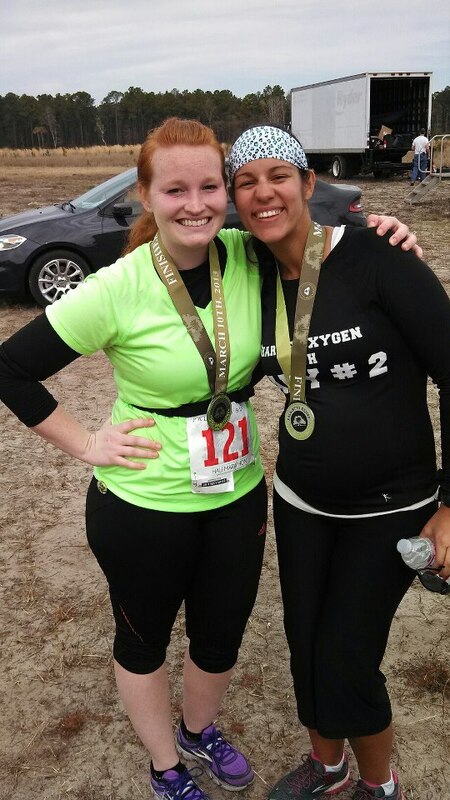 At mile 9, I caught up with my 22 week pregnant friend. She was having hip and knee pain, which I immediately thought was because of the extra weight. Well she mentally was done with it. I stayed behind her for another mile or 2, and then we both just kind of walked/hobbled/skipped to the end. 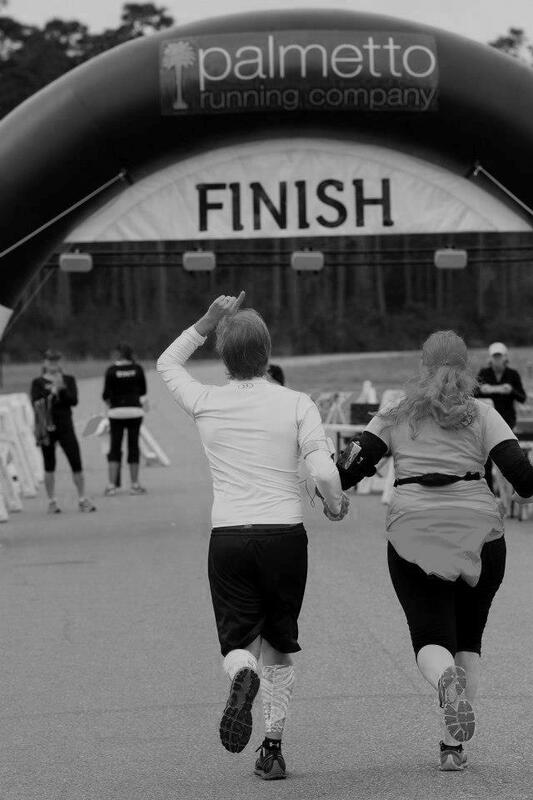 I don’t like to think we gave up….we just enjoyed each other’s company:) At 12.6, my husband came to greet me and really pushed me to finish strong. Meaning, he held my hand and wouldn’t let me slack or slow down! Thanks, hun! My friend Lindsey came to visit us for the weekend, and was totally cool with staying to support us on a chilly morning run! I think I even talked her into maybe training for one in the next year?? 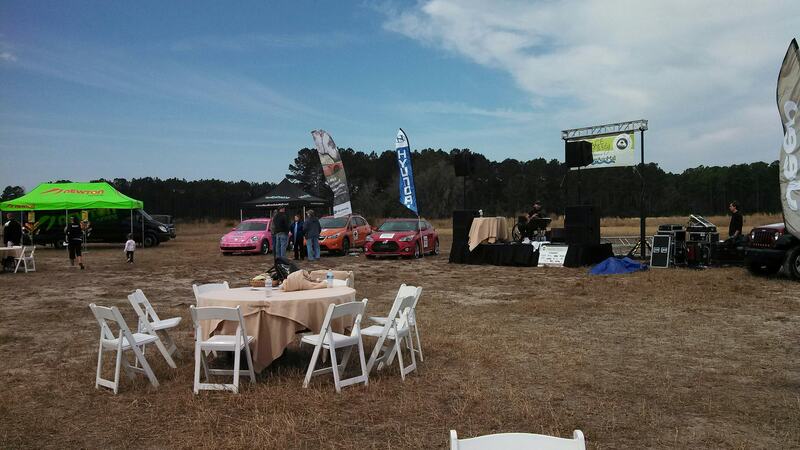 The after race party was great! 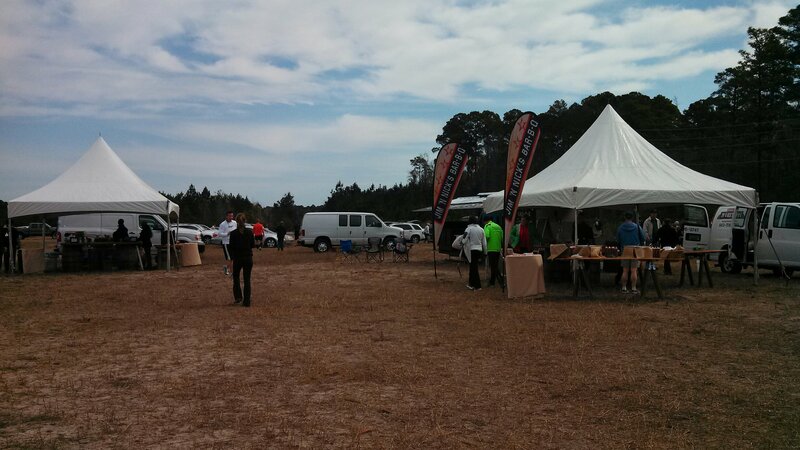 All runners received a BBQ sandwich and a beer. (Yea I didn’t have the bbq sandwich….but enjoyed the beer). There was also local entertainment, and lots of good snacks. Overall, this was a great race! Especially for the inaugural year, it was so well-organized and thought out! You can definitely tell it was the race for runners, planned by runners. I will definitely be signing up for next year. My husband got a HUGE PR…..like by 30 minutes. So proud of him! And he hadn’t run since Jan. 13:) Gosh, that makes me so mad!